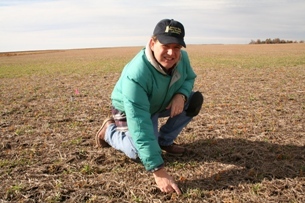 David Archer has been appointed research leader of the USDA-ARS Northern Great Plains Research Laboratory, Mandan. Archer joined the staff as an agricultural economist in 2007. Archer grew up in southeastern Montana. He received a bachelor's degree in mathematics from Rocky Mountain College, and a doctorate in agricultural economics from Iowa State University.